As the day goes by, election is getting closer. Alot has been put in place and we're just waiting patiently for 2019. 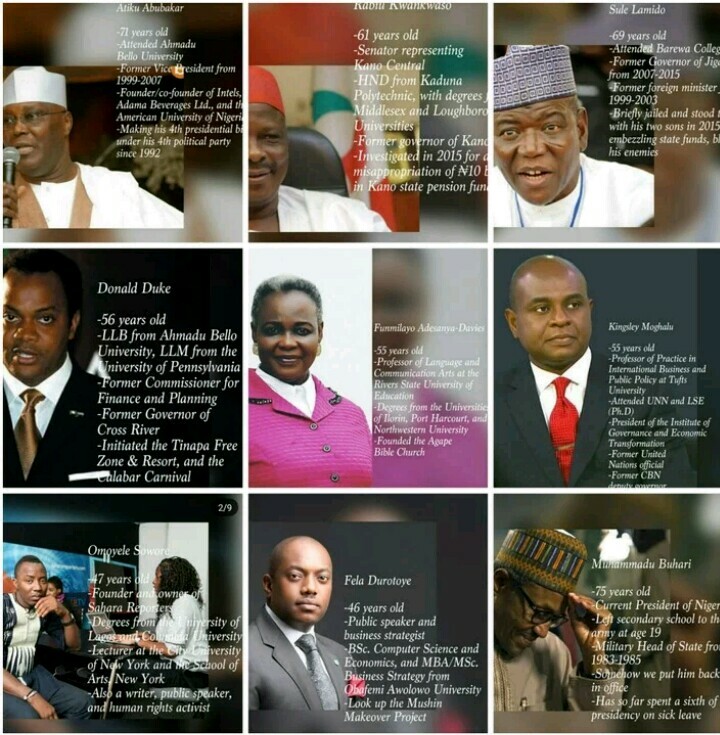 In case u don't know These are the 9 potential candidates bidding for presidency 2019. Don't only pray act on behalf of Nigeria , we can't keep loosing lives & property.